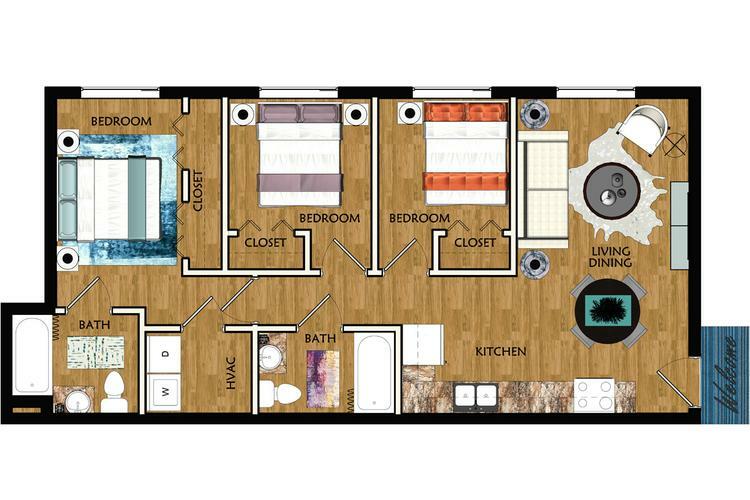 The Dreher is our garden style apartment home featuring 3 bedrooms and 2 bathrooms. 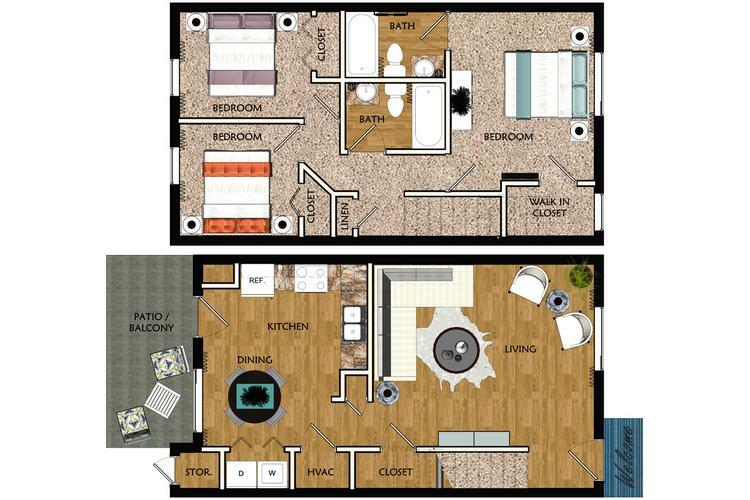 Beyond offering the convenience of one level, this floor plan features an open living, dining, and kitchen area. This 3 bedroom apartment in Columbia, SC also offers a large utility room with full size washer and dryer connections, a master suite with en suite bathroom, and two large additional bedrooms. The Wessinger is our most sought after three bedroom, two bathroom townhome. The first floor provides a spacious living room that opens up to a large back patio with private storage. The upper level of the townhome provides a split floor plan with a master suite including a walk-in closet. Furthermore, the Wessinger offers two additional bedrooms with multiple closets for additional storage, an open kitchen with tons of counter top space providing plenty of space for cooking.